The Radium Girls by Kate Moore is on the agenda for discussion Monday at the Library. 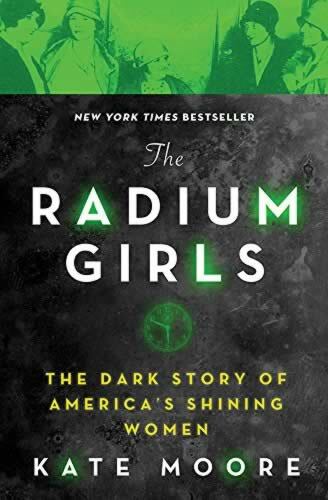 Park Forest, IL-(ENEWSPF)- Friends of the Library will discuss The Radium Girls: The Dark Story of America’s Shining Women by Kate Moore Monday. In addition, there are a number of activities planned this week at the Park Forest Public Library. The Friends of the Library Book Club meets at 12:00 pm on the third Monday of each month (excluding December). The Friends of the Library Book Club is hosted by the Friends of the Library. A patron does not have to be a member of the Friends of the Library to attend the book club. Walk around! Make noise! Enjoy a snack & activity! Dim Lights! LEGO Club is a club for kids of all ages who love playing with Legos. They get an hour to build anything they want. Their creations will then go on display. Need A Lawyer? Talk To A Lawyer Free Courtesy Chicago Bar Assoc.